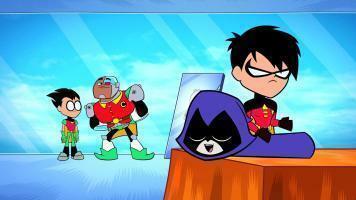 Boomerang DC Animated Series Schedule Teen Titans Go! 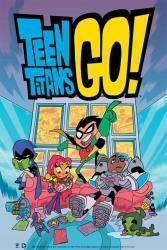 The hit animated series Teen Titans Go! will join the Boomerang, the specialty channel spun off from Cartoon Network, starting Monday, December 1st, 2014. Repeats of the animated series will air from Monday to Friday from 8pm (ET/PT) – 9pm (ET/PT), airing two episodes back-to-back. The half-hour comedy/adventure series – which features two 15-minute installments – follows the comedic adventures of the teenage superhero group Teen Titans as they deal with what happens between the major battles. Teen Titans Go! is a regular top-performer for Cartoon Network, usually pulling in high ratings for target demographics during it’s 6:00pm (ET/PT) Thursday timeslot. Schedule details for the show’s first week on Boomerang can be found below. “Legendary Sandwich” – Wanting to get rid of the other Titans so she can watch her favorite cartoon in peace, Raven sends them to the ends of the universe on a quest for the ingredients to make a legendary magical sandwich with the secret of eternal life. “Pie Bros” – Cyborg’s birthday is coming up, so Beast Boy takes a job at their favorite pie shop so he can afford an expensive gift. But when he has to work during Cyborg’s party, his job threatens to come between the two pie bros.
-“Double Trouble” – Cyborg convinces Raven to create a magical double of himself and Beast Boy so they will both always have someone to play with. -“The Date” – Robin gets up the courage to ask Starfire on a date, only to find that she has already agreed to go out with Speedy, Robin’s archrival, so Robin kidnaps Speedy! -“Dude Relax!” – After bugging the rest of his fellow Titans all day, Robin is forced to stay in the Tower and relax while the others go take care of a monster. 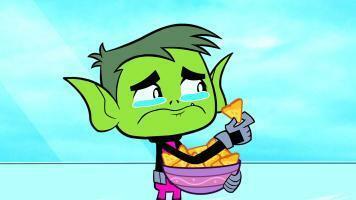 “Ghostboy” – Beast Boy pretends to be a ghost haunting Starfire so she will do his bidding. When she figures out the ruse, she and the other Titans convince him that he’s actually dead. “La Larva De Amor” – While Starfire is away, the other Titans let Silkie wander away to Mexico, where he shares romantic intrigue worthy of a telenovela with a dramatic Mexican beauty and her jealous lover. “Hey Pizza!” – Robin struggles with whether to build a senior center or a pool, while Beast Boy and Cyborg try to get a pizza for free. 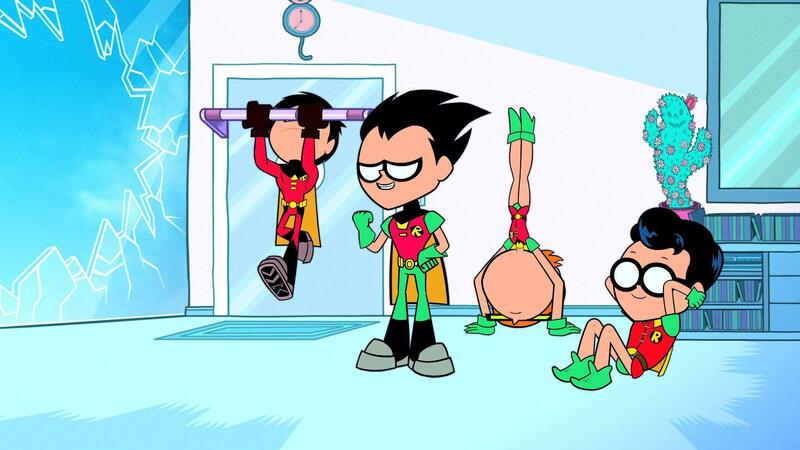 “Gorilla” – Beast Boy turns into a loud, obnoxious gorilla and refuses to change back, driving Robin crazy as he takes over the leadership of the Titans, leading to chaos. “Girls’ Nite Out” – When Robin, Cyborg and Beast Boy won’t let Starfire and Raven come along on their “Boys Night Out,” the girls spring Jinx from prison and the three of them have a wild night of their own. 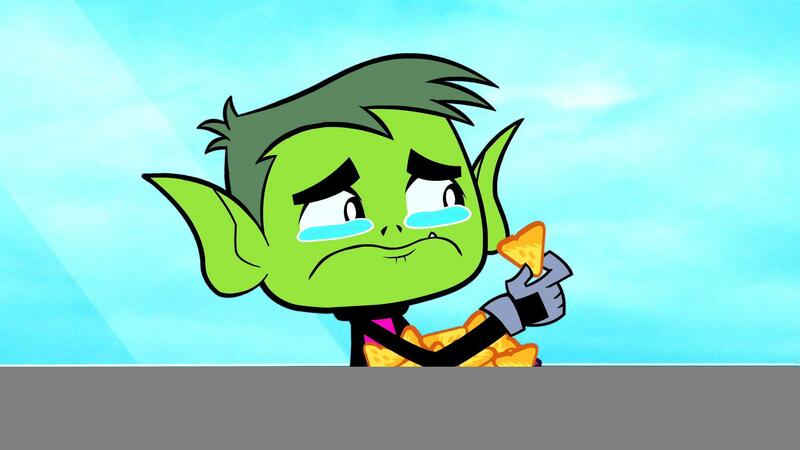 “You’re Fired” – Beast Boy’s poor job performance leads to his being fired from the Titans. After auditioning possible replacements, they hire a pair of shape-shifting twins to take Beast Boy’s place. “Super Robin” – Envious of the other Titans’ powers, Robin wants some of his own. After a disastrous scientific experiment goes awry, he convinces Raven to use her magic to give him powers. “Tower of Power” – Cyborg shorts out when he gets wet, so the others disassemble him and dry him out. When they can’t figure out how to put him back together, they upload Cyborg into the Tower’s main computer. He becomes drunk with power and turns the Titan’s household appliances against them. 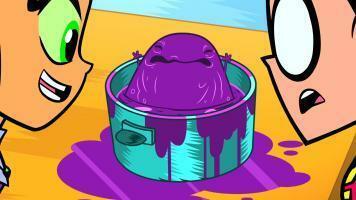 “Parasite” – Starfire acquires a space parasite, and insists on treating it like a pet. The parasite succeeds in winning over all of the Titans except Robin, who alone sees the growing organism as the threat it is. “Starliar” – When Starfire is the only Titan invited to the Titans East Annual Dance Party, Beast Boy teaches her how to lie so that she can spare the other Titans’ feelings — but her lies turn all of the Titans against each other. “Meatball Party” – While trying to entice Raven into joining a meatball party, Cyborg fires a half-meat, half-robot mystery meatball into her mouth, cracking her tooth and releasing the demon octopus that lives in her mouth. “Staff Meeting” – Robin’s beloved staff is broken by the other Titans, so he goes on a perilous quest to the ancient Universe Tree to find a new magic staff to replace it. 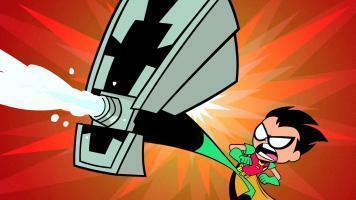 Repeats of Teen Titans Go! 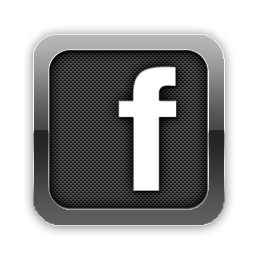 air Monday – Friday from 8:00pm (ET/PT) – 9:00pm (ET/PT) on Boomerang starting Monday, December 1st, 2014. All-new episodes of the animated-comedy series air Thursdays at 6:00pm (ET/PT) on Cartoon Network, with rebroadcasts airing throughout the week. 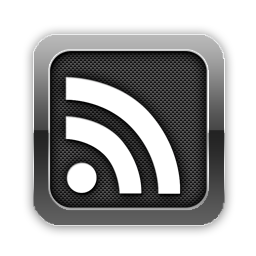 Stay tuned for further updates and more right here at The World’s Finest. Cartoon Network has provided The World’s Finest with stills and a video clip for next week’s new Teen Titans Go! 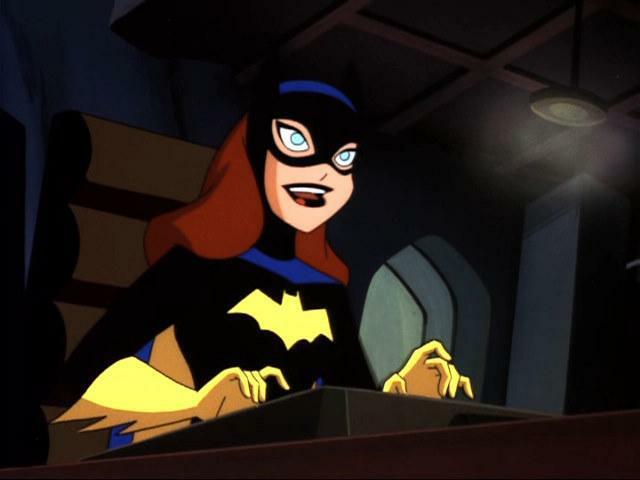 episode “The Best Robin,” airing Thursday, December 4th, 2014 at 6:00pm (ET/PT). The half-hour comedy/adventure series – which features two 15-minute episodes – airs Thursdays at 6:00pm (ET/PT) on Cartoon Network, with rebroadcasts airing at select times during the week. Teen Titans Go! follows the comedic adventures of the teenage superhero team as they deal with what happens between the major battles. 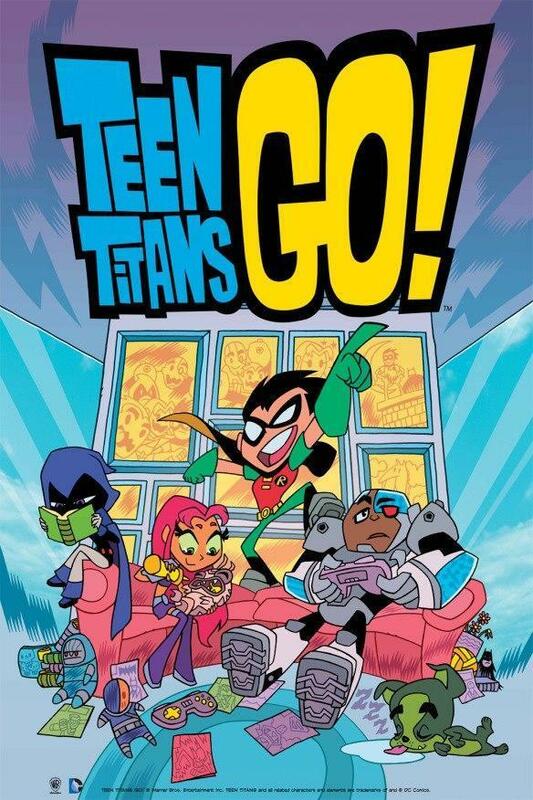 The new Teen Titans Go! 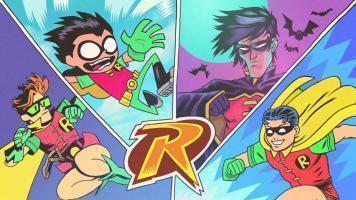 segment “The Best Robin” will be paired with a broadcasting of a previously-aired episode. When the other Titans are too lazy to fight Brother Blood, Robin calls on his secondary team: Team Robin, a crime-fighting group made up of different Robins. 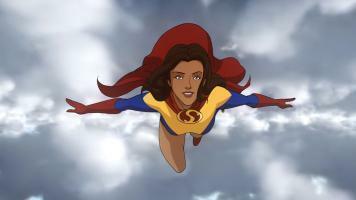 The Canadian network Teletoon is slated to air the All-Star Superman animated movie as part of the network’s “Teletoon at Night Superfan Movies” programming block on Friday, November 28th, 2014 at 9:00pm (ET/PT). 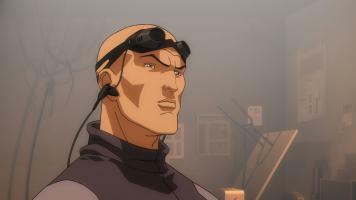 The animated feature, part of the ongoing DC Universe Animated Orignal Movie line, adapts the acclaimed All-Star Superman comic book series by Grant Morrison and Frank Quitely. The weekly “Teletoon at Night Superfan Movies” programming block on Teletoon, airing Fridays starting at 9:00pm (ET/PT), features a mix of super-hero and sci-fi-based movies, both live-action and animated. 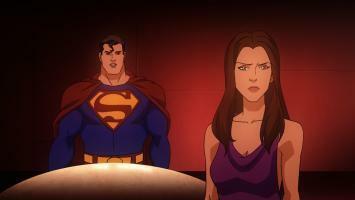 Official details on the All-Star Superman animated feature, released by Teletoon, are available below. 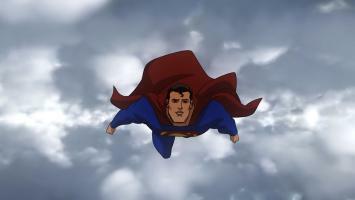 Complete details on the direct-to-video All-Star Superman animated feature can be found at the All-Star Superman subsite here at The World’s Finest. All-Star Superman airs Friday, November 28th, 2014, 2014 at 9:00pm (ET/PT) on Teletoon. 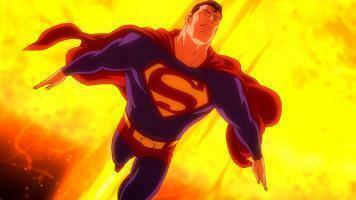 Discuss All-Star Superman in The DC Animation Forum! 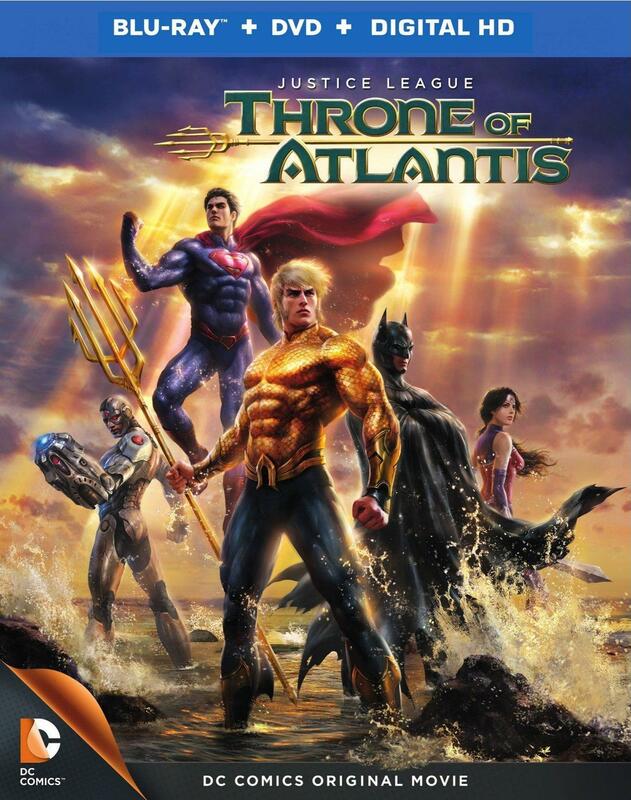 Warner Bros. Home Entertainment has provided updated package artwork for the Blu-ray and single-disc DVD release of Justice League: Throne of Atlantis, the next installment in the ongoing DC Universe Original Movie line. The highly-anticipated movie, hitting Blu-ray and DVD on January 27th, 2015, spotlights the origins of Aquaman and his first meeting with the Justice League. Justice League: Throne of Atlantis – a co-production between DC Entertainment, Warner Bros. 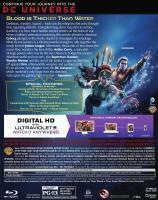 Animation and Warner Bros. Home Entertainment – will retail for $24.98SRP on Blu-ray, $19.98SRP on DVD. 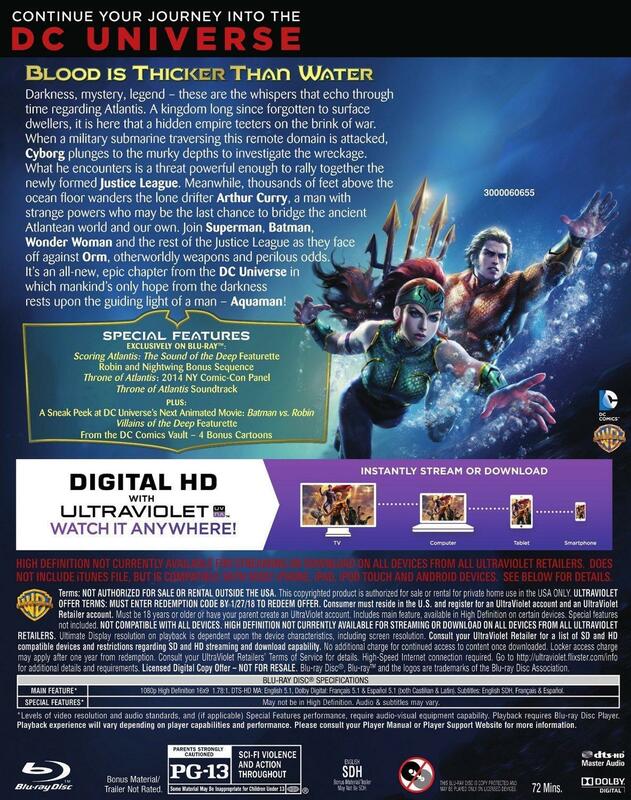 Click on the thumbnails below to view hi-res package artwork for the Blu-ray Combo Pack and single-disc DVD editions of Justice League: Throne of Atlantis. Official product details also follow. Synopsis: As Orm and Black Manta make their move against the surface world after the battle with Apokolips forces in Justice League War had deadly consequences for Atlantis, the queen of the lost underwater civilization searches for her other son, Orm’s half brother Arthur. Living on the surface world with powers he doesn’t understand, Arthur Curry steps into his destiny as Aquaman, teaming with the Justice League to save and unite all people of the world. 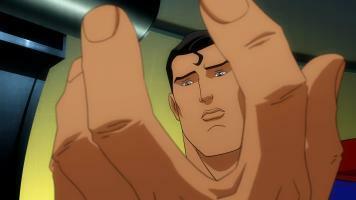 Additional updates on Justice League: Throne of Atlantis can be found here. Click the player below to watch the trailer for the animated feature. 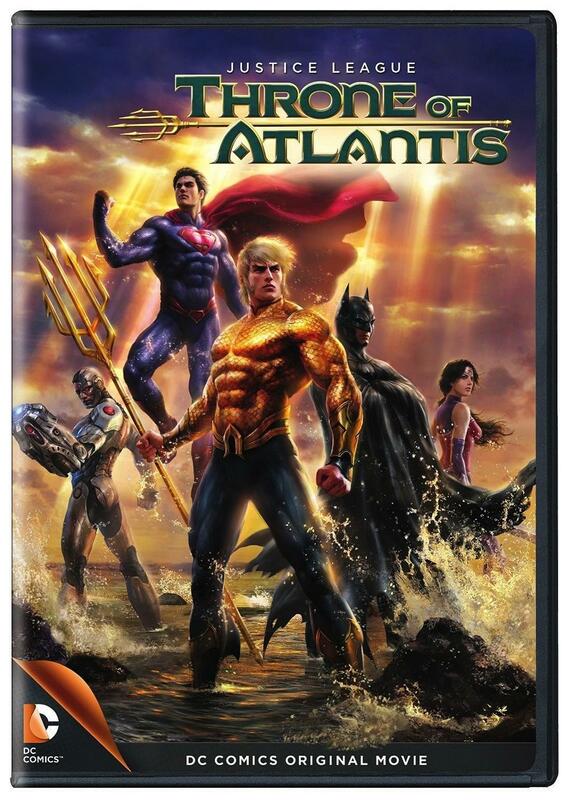 Justice League: Throne of Atlantis is set for release January 27th, 2015 on Blu-ray, DVD and for Digital Download as part of the DC Universe Original Movie line from Warner Bros. Home Entertainment, in co-production with Warner Bros. 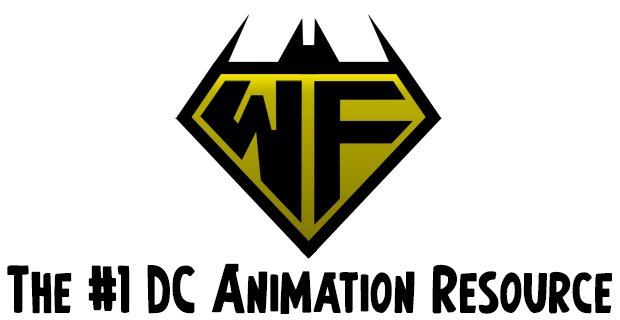 Animation and DC Entertainment. 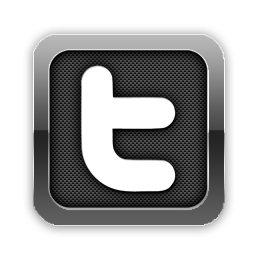 Stay tuned for further updates and more here soon at The World’s Finest. 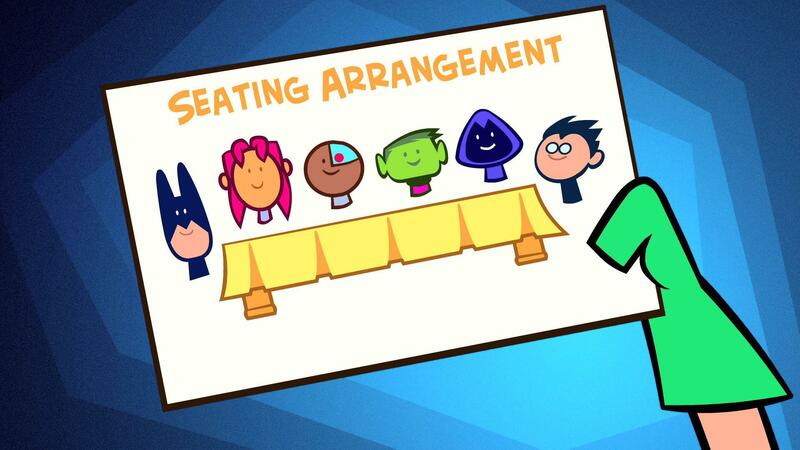 Cartoon Network has provided The World’s Finest with stills and a video clip for a special new episode of Teen Titans Go!, airing Wednesday, November 26th, 2014 at 5:30pm (ET/PT). In the new episode, titled “Thanksgiving,” the young heroes find themselves scrambling to prepare a special dinner. 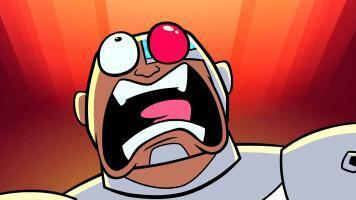 Teen Titans Go! follows the comedic adventures of the teenage superhero team as they deal with what happens between the major battles. 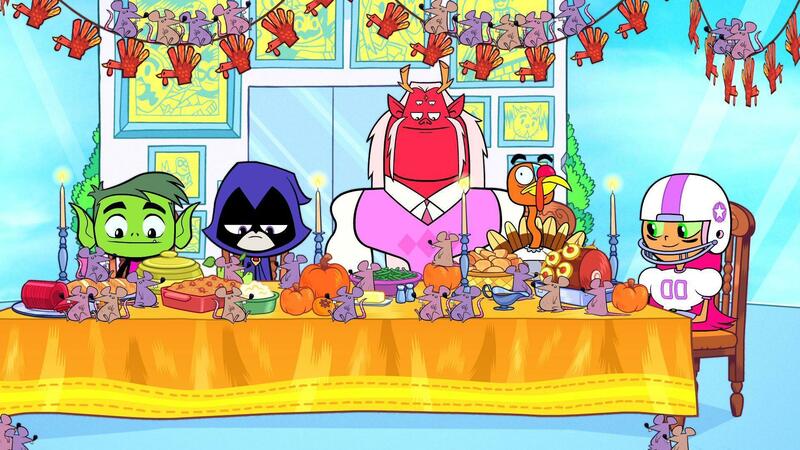 It should come as no surprise that the Teen Titans love a holiday heavily involving food, and Robin takes Thanksgiving very seriously. He has planned the menu and table setting down to the tiniest detail, all in anticipation for a special guest he’s anxious to impress. 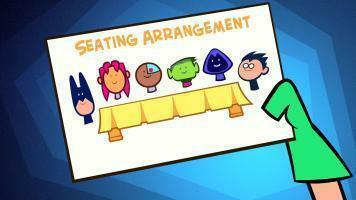 But when Raven’s father, Trigon, crashes the festive dinner, Robin’s seating chart isn’t the only thing that gets ruined. 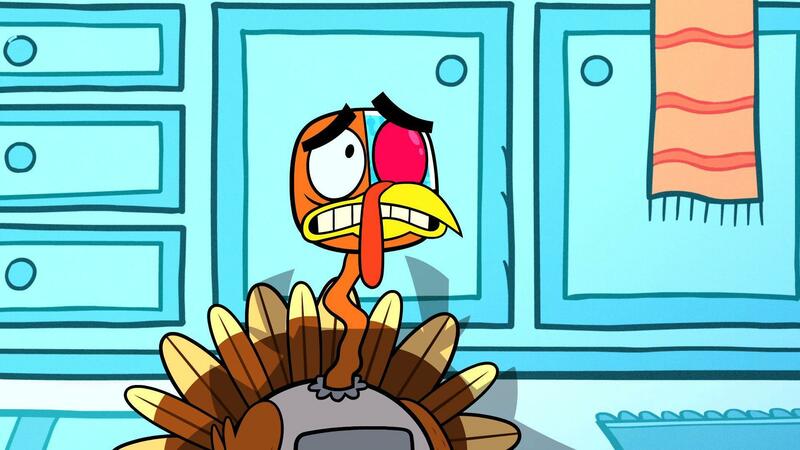 Cartoon Network has also provided the following ratings details for the popular action-comedy series, as seen below, which continues to be a strong performer for the network. 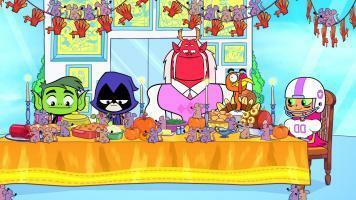 -Season to date, Teen Titans Go! ranks #1 in its time period among all targeted kids’ and boys’ demos. –Teen Titans Go! had the top 4 telecasts on all TV among boys 2–11 during Q3 2014. 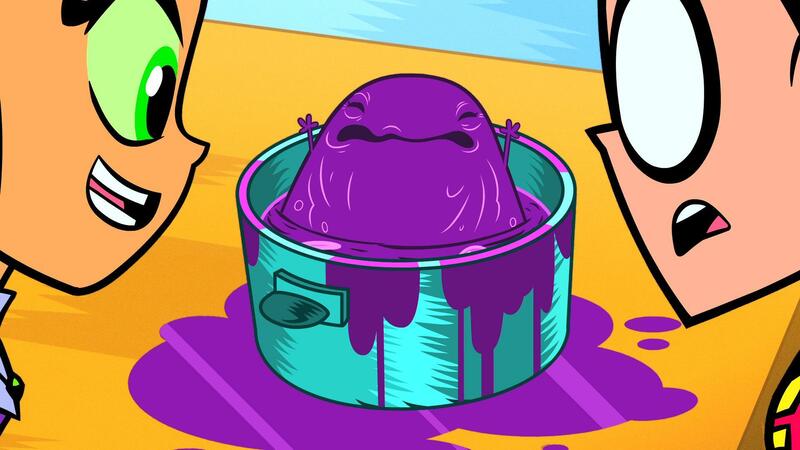 –Teen Titans Go! took 7 out of the top 10 telecasts among boys 6–11 during Q3 2014.